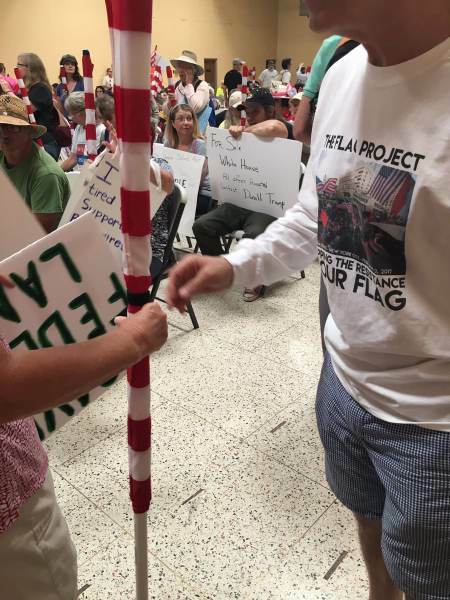 You know whenever you see a group of Democrat protesters with US flags they were handed out before the rally. Democrats don’t carry US flags. They have as much love for the American flag as the people in Timbuktu. Liberal groups today organized a protest against President Trump in Springfield, Missouri. The liberals met at the local Teamsters Hall. They were given US flags to make them look patriotic in a county where President Trump won by 27 points.